Basic black shoelaces…we all need them, but do they really need to be so basic? 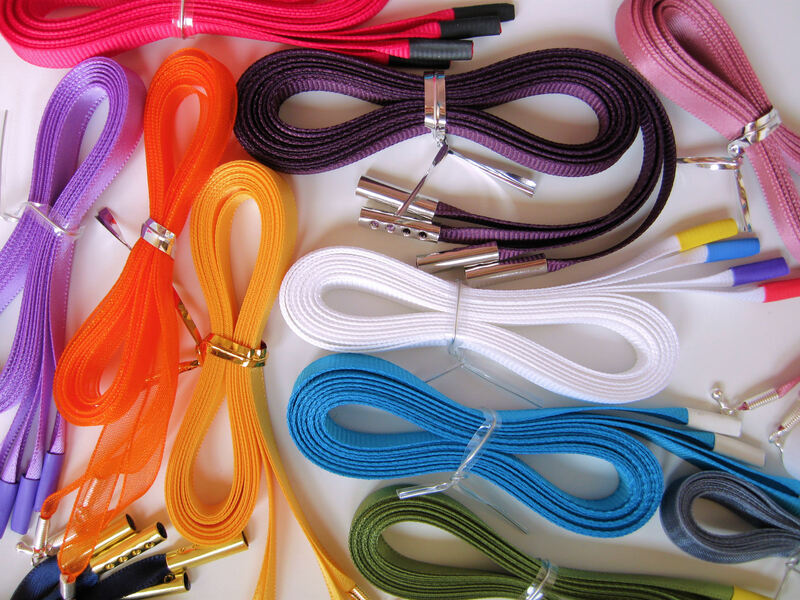 When I first started making shoelaces I was focused on bright colors and crazy prints rather than the black, white and brown colors. As I started to expand and add more basic colors, I realized customers wanted black more than any other color. Who knew? I do now, so my customers have as many options as I can possibly get my hands on. This entry was posted in Shoelace Highlights and tagged All About Shoelaces, Animal Print Shoelaces, Animal Prints, Black Shoelaces, Custom Shoelaces, Grosgrain Shoelaces, Lost in Lace, Metallic Shoelaces, Organza Shoelaces, Ribbon Shoelaces, Satin Shoelaces, Shoelaces, Sparkle Shoelaces, Sparkly Shoelaces, Tulle Shoelaces, Velvet Shoelaces, Zebra Prints.